With both Offload and Slugline, I’ve had the opportunity to practice a theory about software User Experience. I call it the “hallway of doors,” and it’s a way of visualizing the tax levied on users by seemingly beneficial features and functionality. My favorite apps are the ones that do one thing, and do it well. The user experience of these single-purpose apps can be imagined as a hallway that the user travels down. There’s one way in (launching the app), and one way out (exporting a PDF of your screenplay in Slugline, successfully importing your camera media in Offload). BulletProof had the exact same checksummed import and backup features as Offload. But it also had many other features. That’s good, right? Who doesn’t love features? You could color correct your footage, and add tags and other metadata. You could transcode to a variety of formats. It’s easy to argue that features are purely good. One might take the stance that they don’t get in the way unless the user needs them, and then they are welcome. But look at that hallway. None of those new doors are “in your way.” Yet most people will find themselves curious about what’s behind them. And what’s behind each door varies greatly. Preferences is a door with a few buttons, but Color Correction is a door to a ton of control and power. Playback is barely a closet. Transcoding is actually another exit. Is there stuff beyond these doors you should be using? Or is it safe to ignore them? If you open Color Correction first, you might think that every door has a big, powerful room behind it. If you open Playback first, you might think each door is just a pantry. It’s hard for us developers to realize that people are terrified of using our apps wrong. When you start adding doors, you add distractions, yes — but worse, you create a sense of unease in the user. Your app is now a Skinner Box; the doors offering unpredictable rewards. Every door is something new to learn. Every door is an opportunity to use the app wrong. If the user has any other way to get their work done — even a terrible one, they will respond to this feeling by not using the app. This is what happened with BulletProof. People didn’t use it because we gave them too many chances to use it wrong. I listen to a lot of podcasts. I’ve tried a few third-party podcast apps for iOS, but always came back to the buggy and annoying Apple Podcasts app. When Marco Arment, creator of Instapaper and The Magazine, released Overcast, it took me less than a day to switch over to it for 100% of my podcast listening. The other podcast apps seemed to compete with Apple's free offering by adding more features. Overcast won me as a paid user with a couple of well-chosen features, but mostly with its minimal doors. I made Overcast because I had a different opinion on how, why, and where to say “No.” I’ll always need to be careful not to ruin that. When people make totally reasonable feature requests of my tools, I’m always carefully weighing the potential benefits of the feature with the inevitable tax of adding a new door. This is a particularly important thing to consider when your app is popular largely because it’s a simple and elegant alternative to a feature-rich incumbent. How do Apps Wind up Cluttered with Doors? One reasonable feature request at a time. I know it’s hard to believe, but if I ever say “no” to your feature request, it’s often because I’m trying to protect the hallway experience. With Magic Bullet Looks 3.0, for example, we added many new features. But we held back on some because we weren't sure if they were worth the tax of another door. We also removed some doors, by eliminating little-used features. A simple tool that does a simple thing isn’t impressive, and neither is a feature-rich tool that’s difficult to use. But show me something minimal that enables a ton of creative power, and I get excited. The challenge of making something powerful enough for you to do your most important work, but door-free enough for you to enjoy the experience, is something I look forward to every day. Two years ago, Red Giant released BulletProof, a media management tool for video shooters. Today, they announced that it is being discontinued. 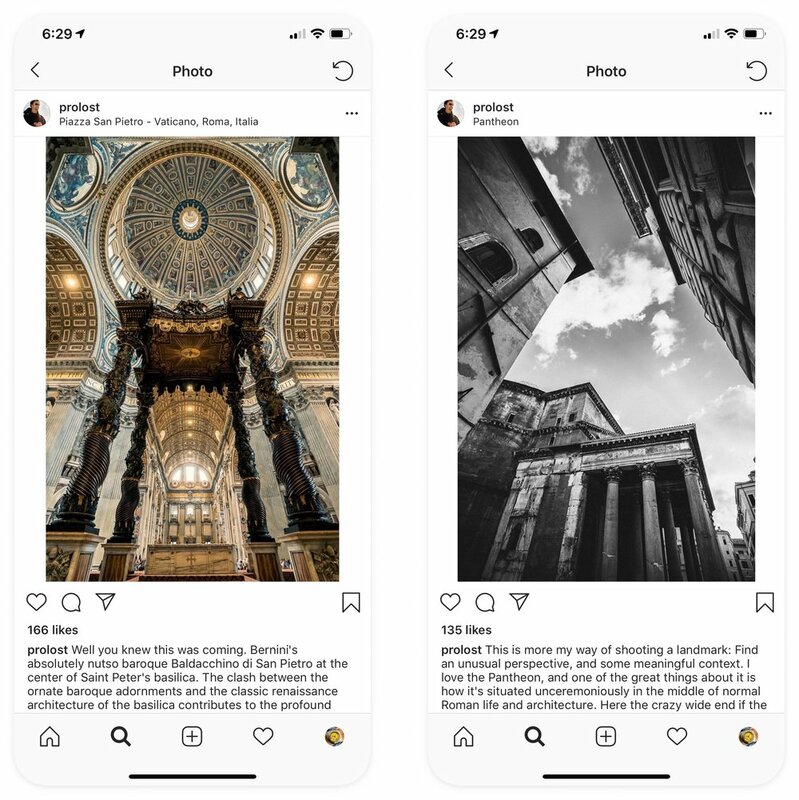 Because I stood up in front of a thousand people at NAB two years ago — and all of the readers of Prolost — and pitched the vision of this app as “the other half of your camera,” I feel I owe you an explanation of what happened. It is 100% true that BulletProof was designed by filmmakers, for filmmakers, to fill a real need. But despite this, I personally never made it a day-in, day-out necessity in my own workflow the way I do with Magic Bullet Suite. BulletProof failed what has always been my number one rule for designing products at Red Giant: Will I actually use it? I’ve given a lot of thought as to why that is, and I have a few ideas. If you’re interested, read on. It’s hard to sell good habits. Bruce Sharpe, the creator of PluralEyes, pointed out an important difference between his audio sync product and BulletProof. Bulletproof is a vitamin, where PluralEyes is a pain reliever. It’s hard to get people to take their vitamins, but sooner or later, everyone needs a painkiller. Simple is better than better. One of the best byproducts of the grand BulletProof experiment is Offload, a stripped-down, bare bones tool for getting video and stills off your camera and onto your computer. My design goal with Offload was simple: I wanted you to feel like you already knew how to use it. And customers overwhelmingly voted (with dollars) in favor of an app that does less, but does it right now, without imposing a steep learning curve. BulletProof is better than manually copying files in the OS, but much harder. Offload is better (because it’s safer), and easier. A camera-facing software product is always out of date. How many times does OS X bug you about system updates that are nothing but format support for new cameras? How many Lightroom or Photoshop updates do we go through for this reason? Heck, Adobe released a Camera Raw compatibility update just a few weeks before launching Lightroom CC — that’s how urgent and frequent these updates are. Red Giant is a small company, and keeping BulletProof up-to-date with all the latest cameras and codecs was always going to be an uphill battle. An app that does everything pretty well is not as appealing as one that does one thing better than anything else. What exactly was BulletProof? Was it a transcoding tool? An on-set preview and color tool? A tool for DITs, or for shooters, or for editors? Was it for managing libraries of b-roll or for making a director’s life easier on set? Unfortunately, the answer was 80% yes to all those questions. We knew this was a problem. No one could ever describe BulletProof in a single sentence. Yet we plowed forward, thinking this lack of specific functional intent was a problem we could solve in the future, rather than a fundamental failing. There are two very important things to know about BulletProof’s end-of-life. First, Red Giant is 100% committed to making every single BulletProof and Shooter Suite customer happy. They will contact you individually and make every effort to offset the damage done by discontinuing a product you paid good money for, and may have even come to rely on. The second thing to note is that BulletProof represents a major technological investment at Red Giant, and that investment has paid dividends in numerous ways. BulletProof ushered in an entirely new interface technology at Red Giant. It provided our first opportunity to build a playback engine compatible with Colorista and Looks. The benefits of these projects will be felt across the entire product line. And of course, BulletProof’s checksum-verified copy and backup technology lives on in Offload. I believed in the vision of BulletProof, and in many ways I still do. It’s a bummer that this is where we are. But I applaud the team at Red Giant for making the difficult decision to move past this ambitious experiment and focus their resources on the products that have truly connected with filmmakers.